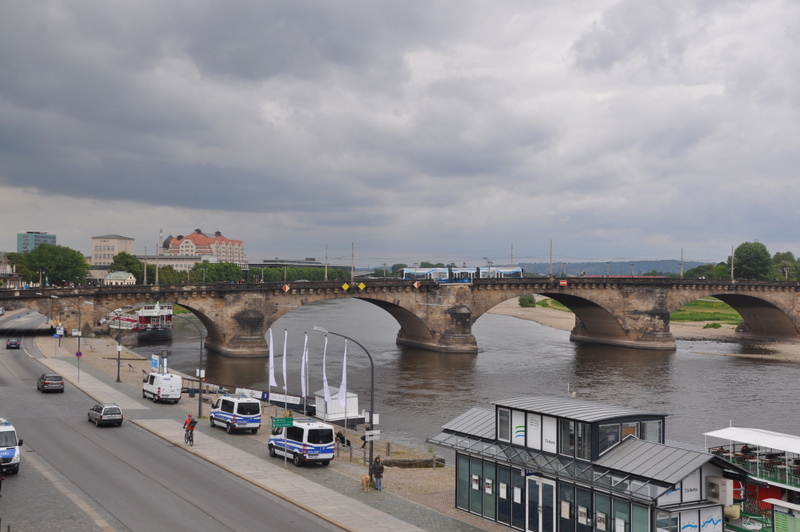 On Wednesday we drove from Prague to Berlin with a short stop in Dresden. Dresden was 2 hours from Prague and Berlin was 2 hours from Dresden, so the perfect stopping point. 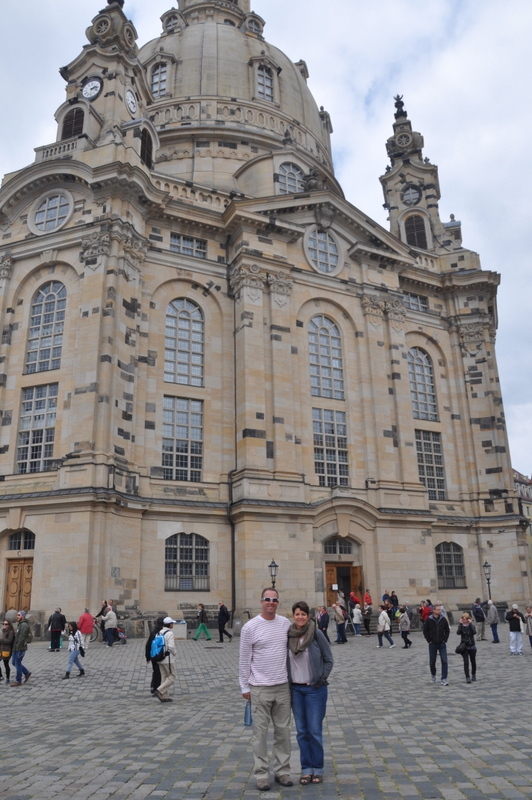 In addition, we had considered spending a few days in Dresden so we might at well do a short stop. We drove into the heart of the city, found a parking lot and did a tour of the main square. There is cathedral, The Church of Our Lady, that was destroyed in WWII and was left in rubble until 1994. At that time private donors forked over $180 million Euro to rebuild the cathedral, which was completed in 2004. The place was pretty beautiful. We walked around a bit more. walked along the Elbe River and then found our way back to the car. We headed for our apartment in Berlin and found our way here by about 4 pm. We picked up our keys and entered our new home for the next 10 days. Our landlord, Roni, has been extremely effective communicating and when we arrived we felt it was a really good choice. The apartment is rather spacious, with a separate living room area and two decent sized bedrooms. There is a full bathroom and another 1/2 bath, which is perfect for the family. After a trip to the grocery store (pretty much the first thing we do in each city) we started to settle into the apartment. After about an hour of hanging out we noticed something that might be a problem, trains! The apartment building is right next to the train tracks. On the first night the trains stopped running around midnight, so it wasn’t a bit issue. With the windows closed you can’t really hear the trains, so our first night of sleep was pretty restful. 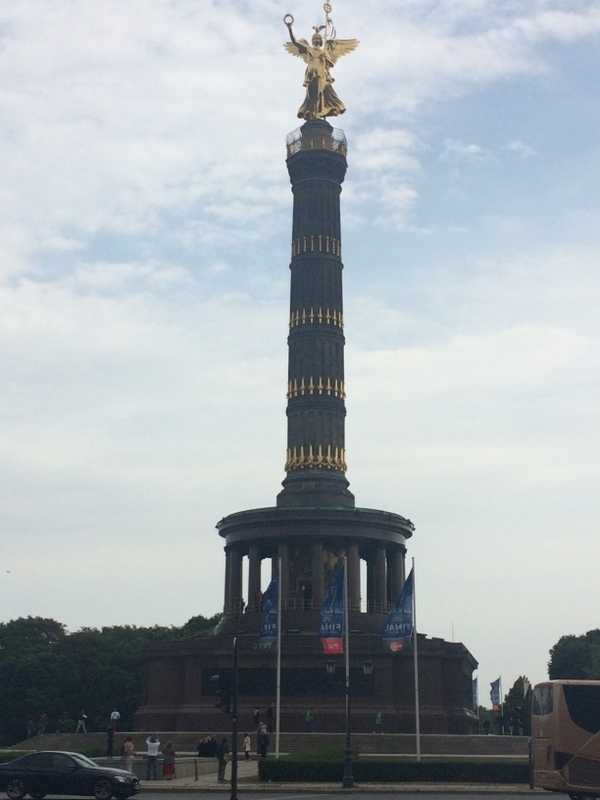 We were planning to do a walking tour of Berlin today but both kids were exhausted and I had a number of coaching calls and prospect calls, so we decided to push our tour until tomorrow. Ilise and I decided to take a walk toward the main part of Berlin, which we did for about 2 hours. 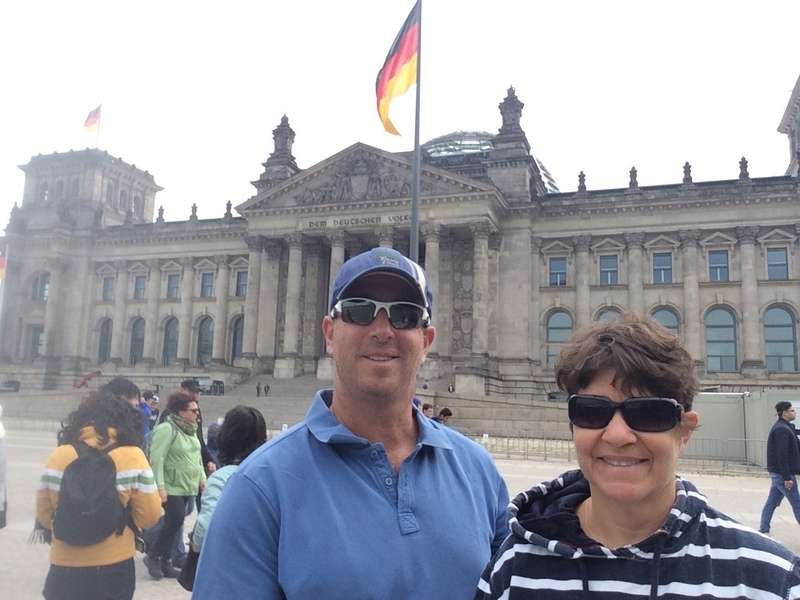 We are staying near Tiergarten park and we walked through and got to see some of the larger buildings in Berlin. We didn’t get too far because our landlord was planning to meet us around noon and we didn’t leave the apartment until about 10 am. Today turned out to be a relaxing day in the end. I am fighting a cold so spending a day without much activity was a good thing. I had a bunch of really positive phone calls and looking forward to seeing a lot of Berlin over the next week or more.